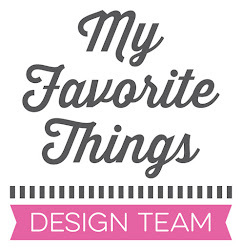 I have a sketch challenge card to share with you today, it features a few of the fabulous new products that are now available. If you haven't had a chance to check out all the new items yet, you can see them all here. 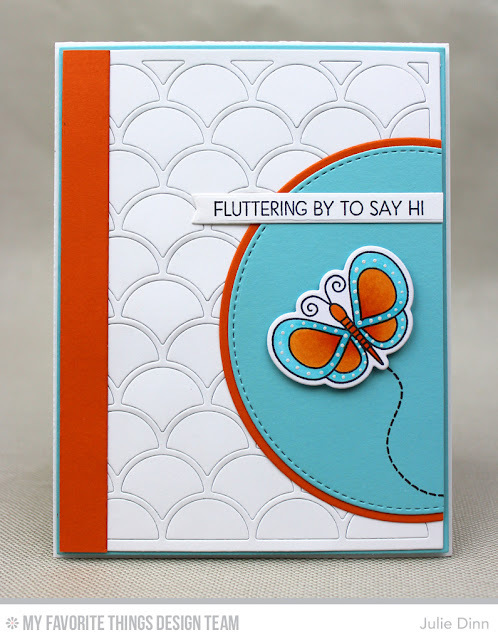 My card today features the new Fly-By Friends stamp set and Die-namics, and the Dainty Scallop Cover-Up Die-namics. I stamped the sweet little butterfly on X-Press It card stock and I coloured it with Copics. I added a touch of white to the butterfly wings with the White Kirarina Wink Pen. I created the background with the new Dainty Scallop Cover-Up Die-namics. I LOVE this die!